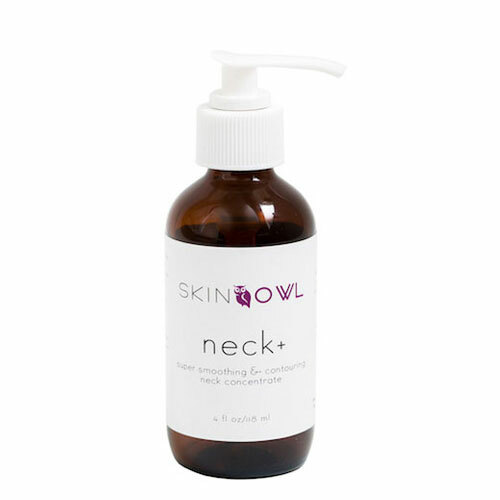 Neck + by SkinOwl includes powerful ingredients to increase the look of smooth, contoured skin on the neck. An organic infusion of herbs and Ocean Mineral Complex work in harmony to reveal a youthful looking neck and décolleté. With ingredients like aloe, vitamin E and yarrow to boost the look of hydration and firmness, skin is left with a sculpted appearance, while dark spots and crease marks are visibly reduced. Lightweight and non-greasy, this gel balm instantly makes skin look tightened, toned and radiant. 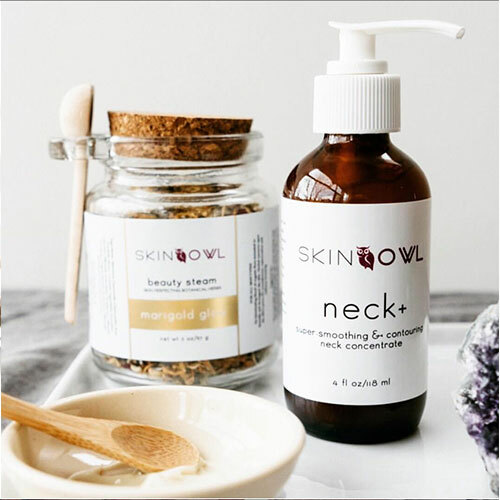 Apply a small amount to entire face, neck and décolleté after showering. Allow to dry. Follow with SkinOwl's Body Oil. Suitable for all skin types. For external use only. Can be used daily.